If you go to the beauty products aisle of any department store, you will find tons of scrubs, cleansers and creams that promise to rid your skin of acne. So, how do you narrow down your choice to products that really work? To save you from the tedious task of trial and error, here is an honest and independent review of one such product that has gained much hype for its acne-control properties—St Ives Blemish Control Apricot Face Scrub. Does it really work or is it just another product you can choose to ignore? Read further to find out. St Ives is a world-renowned brand of skin care products created using high-quality natural ingredients like apricots, oatmeal, walnuts, green tea and pink lemons. St Ives Apricot Blemish control scrub is one of the oldest and most popular products in the St Ives range of skin care solutions from Unilever. It is available in 6oz tubes and the product label suggests that it prevents acne and evens out skin tone. The label also mentions that the product is paraben free, 100% natural and an oil free formulation. The ingredient list highlights Salicylic acid (2%) as the active ingredient. You can also find the rest of the inactive ingredients in this product at the back of the tube. St Ives recently completed their rebranding, after which the term “acne-control” on the tube was replaced by “blemish-control.” Nevertheless, the contents of this product remain unchanged and the scrub produces same results as before. The star natural ingredient of the St Ives Apricot Blemish control scrub is apricot extract, which the company obtains from high quality apricots from warm sunny destinations around the world like California and North Africa. Apricots are an excellent ingredient for scrubs, as they reduce the harshness of other ingredients that cause dryness and restore moisture to the skin. This fruit is also a rich source of antioxidants and Vitamin E. Additionally, apricots have excellent anti-inflammatory properties that help with dry and irritated skin conditions. Walnut is another natural ingredient in this scrub, or to be more precise, walnut shell powder. St Ives suggests that they select the best walnut shells and evenly powder them to ensure gentle but effective exfoliation and removal of dead cells and impurities. The active ingredient in the St Ives Blemish control scrub is salicylic acid of strength 2%, which is a proven remedy for acne-prone skin. Salicylic acid can unclog pores, reduce lesions and diminish the appearance of blemishes. Glycerin which prevents drying of the skin by moisturizing from within. Zea mays kernel meal which is a rich source of vitamin E that helps to reduce acne scars and improve texture of skin. How Does St Ives Apricot Blemish Control Scrub Work? Exfoliation is a time-tested method to deep clean skin. Although your skin naturally exfoliates, this process slows down as you age and it can cause your complexion to become dull. Effective exfoliation helps to restore the natural glow. It also reduces acne and other skin problems. Acne causing bacteria thrive on dead cells and surface impurities. So, exfoliation is highly important for acne-prone skin, since it helps to remove impurities that clog the pores and hair follicles. Proper exfoliation happens when a scrub thoroughly cleanses the skin surface and removes all built-up impurities to reveal fresh skin. Nonetheless, not all scrubs are suitable for acne-prone skin. This is because most scrubs work only on the surface and do not penetrate deep enough to where the pimples originate. The presence of salicylic acid in St Ives Apricot Blemish control scrub makes it a superior product since this ingredient travels deep into the pores and reaches the sebum production glands to perform excellent exfoliation. 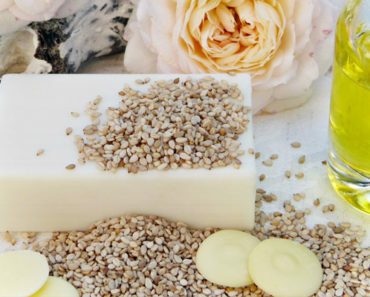 Salicylic acid has strong antibacterial and anti-inflammatory properties. This, combined with the goodness of natural skin-loving ingredients in St Ives Apricot Blemish control scrub, gently soothes acne-affected skin and helps it heal quickly. Salicylic acid also promotes collagen production which speeds up skin repair and restores skin to its original appearance. But Is St Ives Apricot Blemish Control Scrub Effective? Although St Ives Blemish control scrub has all the ingredients to target acne-affected skin, the question is how effective is it? This actually depends on the severity of your acne problem as well as whether you are consistent in using the product and if you use it in the right way for optimum results. St Ives Apricot Blemish control scrub has a grainy texture. When you use the scrub for the first time, you will experience its abrasive effect and also see an improvement in the appearance of skin as it properly cleanses the surface and reduces pore size. However, it can dry out your skin. Since it deeply exfoliates and dries the skin, you must figure out the optimum number of times you should use it in a week for best results. With proper usage, considerable improvement in skin texture and reduction of acne and blemishes is evident in just two weeks of using the product. Gently wash your face with lukewarm water and leave your skin damp. 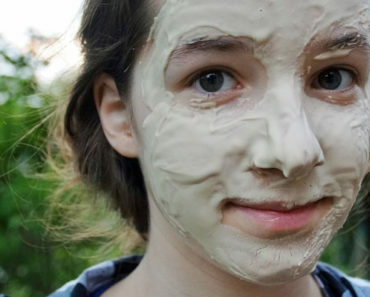 Slowly massage a dime-sized amount of the scrub into your skin. Use circular strokes to rub the product all over your face and neck. Gently massage for few minutes so it enhances blood circulation. Wash off the scrub with lukewarm water and pat your face dry. This scrub can make dry skin feel raw. So, follow up with a moisturizer to rehydrate your skin and keep it looking fresh. You can exfoliate at any time of the day, but did you know that the results are better when you use a scrub in the morning? This is because your skin regenerates overnight when fresh skin cells take over the place of dry flaky skin cells. So, use an effective exfoliating scrub like St Ives Apricot Blemish control scrub in the morning and scrub away this unwanted layer of cells. This maximizes its benefits and helps the fresh skin beneath it glow. Many users swear by the effectiveness of St Ives Apricot Blemish control scrub and will not settle for anything else, as they are convinced it is the best product for acne. Here are the factors that make it so popular. St Ives Apricot Blemish control scrub contains natural ingredients including apricot extracts, walnut shells and Zea mays corn kernel meal. Unlike other scrubs that include parabens and phthalates, this product is 100% natural and safe for sensitive skin. With this scrub, cleansing is not limited to the surface. The ingredients penetrate deep into the skin and completely rid it of dead cells and other impurities. This makes it an effective remedy for acne-prone skin. Oiliness is the bane of acne-prone skin. Since this product is not oil-based, it does not trigger acne flare-ups by causing blocked pores that encourage bacteria to grow and trigger fresh pimples. High quality apricot extract present in St Ives Apricot Blemish control scrub offers anti-inflammatory and antioxidant properties to the skin. Crushed walnut powder produces gentle, but effective exfoliation. The ingredients in this scrub are suitable for sensitive skin since they are non-irritating and non-comedonic. After application, pores are visibly smaller in size and skin appears firm. 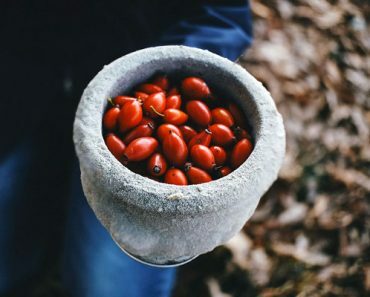 The non-inflammatory properties of the natural ingredients in this scrub also help with reducing swelling, redness and other skin conditions that affect sensitive skin. St Ives Apricot Blemish control scrub is suitable for dry, oily and combination skin. Its key ingredient, apricot, helps to balance out the dryness associated with exfoliation. Nevertheless, it is a good practice to follow up with a moisturizer to rehydrate the skin, especially if you have excessively dry skin conditions. St Ives Apricot Blemish control scrub not only cleanses skin, but also reduces acne scars and blemishes over time. As a result, skin appears fresh and glowing and overall tonal value improves. If you suffer from blackheads, this is a useful product to get rid of them. Apply it to your face with extra emphasis on the T-zone and scrub thoroughly. It will push out blackheads ad whiteheads and your skin will appear cleaner when you wash it off. The scrub has a fruity, almost zesty aroma that is neither over-powering nor too subtle. This adds to its appeal. One of the most attractive features of this product is the price. Small quantities are enough for each application. So, it lasts longer. Additionally, this product is cruelty-free, which makes it an apt choice if you are ethically inclined. Although this product has several benefits, there are rare occasions when users do not find it effective. A common complaint about this product is that it dries out the skin. Although the product is suitable for all types of skin, it can worsen dry skin conditions. However, moisturizing with a suitable cream or lotion following exfoliation should help you counter this issue. On rare occasions, you may also experience an acne break-out after application of the scrub. However, this is usually linked to over-use which can irritate the skin. Follow the instructions on the package and restrict application to 3 or 4 times a week to avoid this problem. Since this is a very mild product, it can take some time to show significant reduction in blemishes and acne scars. However, it is highly effective in controlling acne and over time improves the appearance of scars by promoting collagen production that heals and repairs skin. Like all scrubs, St Ives Apricot Blemish control scrub is abrasive on the skin. Hence, use it carefully. Follow instructions and apply it to damp skin. Always use gentle circular strokes for scrubbing. Avoid applying too much pressure while scrubbing. Also, do not use an exfoliating brush as the scrub already has walnut shell powder for this purpose. Continuous and rigorous scrubbing can leave your skin feeling raw and painful afterwards. When using the St Ives Apricot Blemish control scrub, pay special attention to your T-zone, which is vulnerable to acne breakouts. 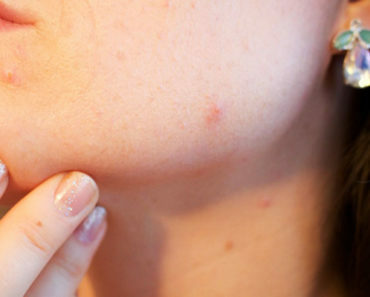 This is also the area where acne scars and blemishes typically occur. By gentle exfoliation in this area using the St Ives Apricot Blemish control scrub, you can improve blood circulation and stimulate collagen production that will heal scars and restore the original appearance of skin. St Ives Apricot Blemish control scrub produces intense exfoliation and hence is not recommended for daily use. This type of powerful exfoliator should only be used every couple of days. You will have to try it for a while to figure out the actual frequency that is best for your skin to produce optimal results. A thorough study of St Ives Apricot Blemish control scrub reveals that it is a useful product for acne-prone skin. Powerful ingredients like salicylic acid address acne issues at the very root to produce visible results over time. As a powerful exfoliator, this scrub helps to not only reduce occurrence of acne, but also to heal existing scars and blemishes from previous acne episodes. Meanwhile, skin-loving ingredients like apricots, Vitamin E and Zea mays corn add a host of beauty benefits to the product. Stick to the recommended usage schedule and follow instructions, and St Ives Apricot Blemish control scrub could be the perfect solution for all your acne-related problems! After a brief stint in a corporate role, Sapna decided to pursue her biggest passion—Writing! She is now a full-time freelance writer, engaging her diverse educational qualifications and extensive travel experiences to create content that inspires and educates. Constantly on the lookout for new things to learn and fresh ideas to explore, her philosophy is that is never too late to do what you love. She is also an avid reader, travel enthusiast and trained classical dancer.